When a patient is in need of strep throat treatment near Spring,TX, waiting days to get into your primary care doctor or a costly emergency room might seem like your only options. Davam Urgent Care located near Spring is able to offer another option for after hours care for non-life threatening illnesses.Our clinic is open 8am-9pm, 7 days a week to allow for convenient care that fits better with a busy schedule. We also have an on-site certified lab available to perform Streptococcal Pharyngitis tests and most lab work that may be ordered by the provider. Our providers on staff are committed to caring for each patient and making sure that they leave the clinic satisfied. We want to be able to provide the best treatment possible, to insure that you will get to feeling better. 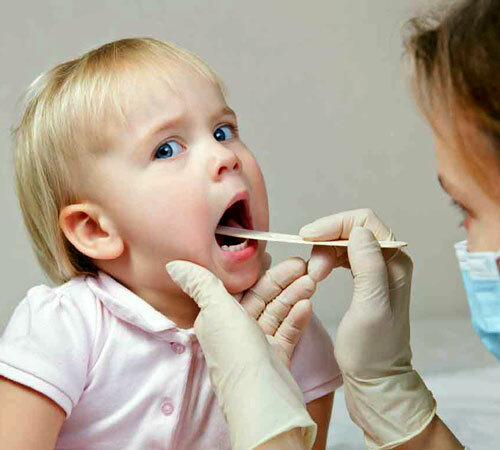 In addition to strep throat treatment we also offer treatment for most non-life threatening illnesses and injuries. This includes allergy treatment, bronchitis, flu, laceration repair, sinus infections, and much more. If you are your loved ones are experiencing any of the strep throat symptoms, visit Davam Urgent Care located near Spring, TX. Davam Urgent Care is located at 6022 FM 1488 in Magnolia, TX. For more information, please contact us at (281) 583-1980. For a more convenient visit and shorter wait time, check-in online using our new check in system. Davam Urgent Care services the following zip codes in Spring, TX. 77373, 77381, 77382, 77386, 77391, 77393, 77379, 77380, 77383, 77387, 77388, and 77389.